Add an element of fun to your wedding tables with these mini bubble pots in an elegant colour scheme of gold and ivory. Designed to look like miniature bottles, these bubbles make unusual additions to your table settings and will be a hit with guests of all ages. 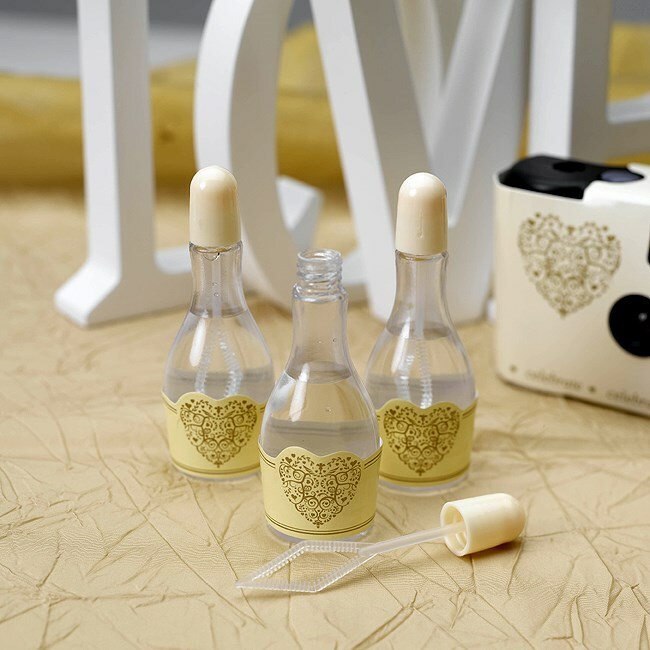 Featuring a pretty label and white lid, these bubbles can be co-ordinated with other pieces from the gorgeous Vintage Romance range. Heart Wood Confetti "Just Married"